Generators are what keep your daily routine working smoothly while living in an RV. These generators can be used for a wide range of tasks. However, what good is a generator if it’s loud and stops you from thinking. The following article will discuss the many benefits of owning a quiet generator for your RV. As well as, various features of some of the best generators on the market. What Makes a Generator Quiet Compared to Others? There are multiple ways to make your generator quiet or even just limit the noise. For example, a lot of the time, the noise coming from your generator are the vibrations that are created when the product is turned on. Many generators have a special bracket built on to the product that will keep the device off the ground. Some generators are also quieter because they aren’t as powerful. The best generators have their own soundproofing that will limit the noise emitted from the AC. Some people even go the lengths of building their own sound proofing box that you just place over the generator. There are a plethora of benefits of purchasing the best quiet generator in the market. You’ll want to find the best possible product without sacrificing the peace and quiet of RV life. The following section will show you exactly to look forward to or even what you’re missing out on. One of the most obvious perks is that you’ll have peace and quiet to which TV or listen to your music. There are plenty of generators out there that are so loud you can barely hear yourself think. By investing in a quiet generator you’ll never have to worry about using subtitles to watch your favorite movie. When you are travelling around in your RV and trying to catch a glimpse of the fine species that nature has on offer, you’ll easily scare away any possible sightings with a noisy generator. This noise pollution can greatly affect the local wildlife to the point of certain bird species relocating or failing to nest and breed. By investing in a top of the line generator you’ll save plenty of money by just going for one that has suitable noise proofing. Many people will go for the cheaper option of buying a loud, cheaper model and then trying to fix the noise themselves with a DIY sound proofing system. This section is one of the most important parts of our article. In the following section we’ll discuss the various features, pro’s and con’s of each product. All of these generators were hand picked and are some of the best currently on the market. 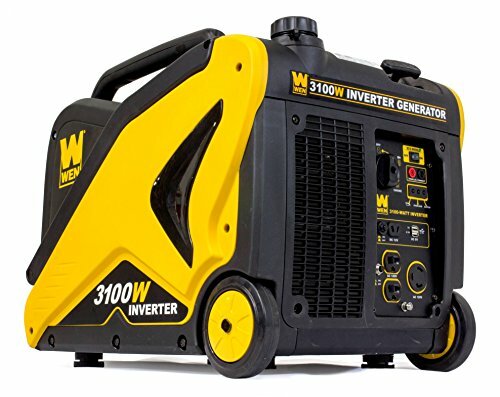 This is a portable generator that would be perfect as a backup in your time of need. It weighs 46 pounds, has two 120 volt outlets to choose from, along with two USB ports to charge any of your smaller devices. This generator will give you a full 12 hours of operation with only a 1.2 gallon tank of gas, this is with the efficiency mode switched on. When turned on, you’ll hardly hear it as it only gives off 52 dBA. A three year warranty and lifetime tech support is also on offer. The lightweight design of this product allows you to carry it around anywhere as a suitable backup generator. You’ll very rarely hear any noise coming from the product and when you do it’ll sound similar to a gust of wind. The long operation is thanks to the energy efficiency mode which will last you for a full 12 hours, plenty of time to get what you need done. The only downside to this is that it could offer more outlets for better use of appliances. One of the most simple types of generator currently on the market but will still be able to power your home appliances. The parallel operation outlet will allow connection with another unit to increase the power outage by around double. You’ll also find an, overload alarm, an output indicator, and an oil alert. The product offers two 120v AC outlets and a twist lock outlet for power tools. This product has the ability to limit the amount of fuel it uses while also running for an extended amount of time. This eco-throttle mode allows your generator to last for around 20 hours on just a 1.2 gallon tank. The eco-throttle mode adjusts the speed of the engine to only just keep up with creating the amount of power necessary for each appliance. This helps reduce emissions and keep costs down. This product offers a smart design, as the parallel operation is rare to find in any generator. The addition of the oil alert, overload alarm and output indicator allow the user to safely monitor what’s going on. 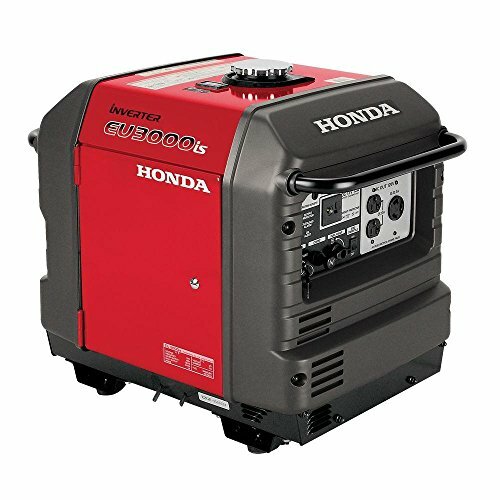 The generator is also great for it’s long lasting operation of around 20 hours on it’s eco-throttle mode which will save you plenty of money and time in the long run. The downsides to this product are that it only has two appliance outlets with an additional socket for power tools. There wasn’t any USB ports for your smaller devices like those on most other generators. The noise that comes from this device is also a problem for some as it’s not the quietest on the market at 61 dBA. A real hybrid champion at work, this generator will be able to operate with either gasoline or propane making it super simple and easy to get this product up and running. The unit also holds 0.6 quarts of oil, if it runs dangerously low, the device will automatically shutdown. The electric start provides convenience along with the quick touch panel that houses all the controls at the side of the generator. The noise that comes from this is 59 dBA which is suitable for a backup generator. The small generator will be able to operate for up to seven and a half hours on either gasoline or propane. The unit holds two 120V power outlets along with a 12V DC outlet with a dual USB adapter. The pack also includes a free lifetime tech support and a three year warranty. The main attraction of this product is the dual fuel ability, being able to use either propane or gasoline makes life a lot easier for everyone. The smart oil sensor that shuts the device off when low is a great idea. Considering how small the product is, 7.5 hours operation time is more than enough for a backup generator to get the job done. The smart design makes access to the controls a lot easier. The only downside is that the 59 dBA can become irritating after a while, still one of the quietest but it wouldn’t be the best for helping you sleep at night. Similar size to a lunch box, this extremely portable generator can provide you with 1600 running watts and 2000 running watts. This product is one of the quietest on this list as it only emits 51.5 dBA which is as quiet as a conversation between two friends, this peace and quiet is only thanks to the built-in muffler that limits any noise. The smart throttle ability also saves plenty on power, the way it works is the generator will increase or decrease the power outage depending on what the minimum power is needed for each appliances, this feature also helps with reducing noise. You wouldn’t think that this small generator would last long. However, this device actually has one of the best operation lifespan’s as it can work for up to 10 hours. The twin tech operation feature is also a great addition that allows you to connect two devices for double the power. 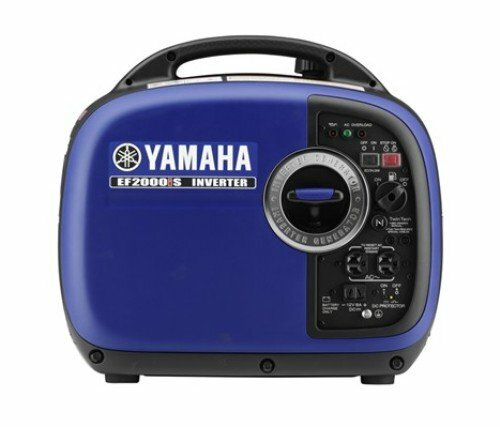 This generator has a lot to offer the owner, the small and portable nature of this device is something that will make anyone feel amazed, the device is just a bit bigger than your standard lunch box. The 51 dBA it produces is close to nothing compared to what other larger, more powerful devices emit. The smart throttle is a feature that saves on power and a main reason why this device can last 10 hours on a gallon of gas. However, the downsides to this product are that it doesn’t offer the same power outage that most other devices can offer. On the other hand, you can connect two together for a twin tech operation that will double that power outage. 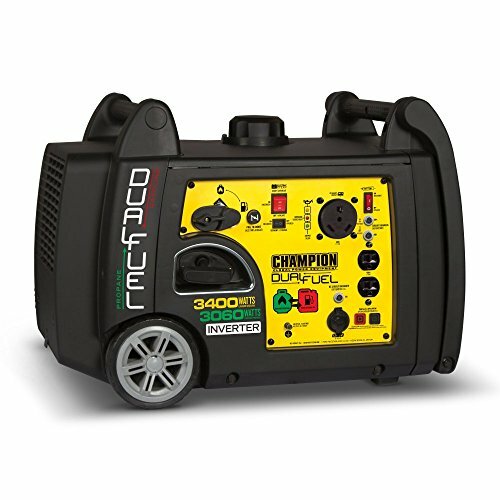 This 4000 Watt generator boasts that it’s 50% quieter and 20% lighter than any other model within the range. One of the longest lasting generators on our list, this device can survive up to 17 hours on a single gasoline tank, this is mainly due to the economy mode that will use all the energy in the best way possible. For a generator of this size, 64 dBA is a great noise rating. 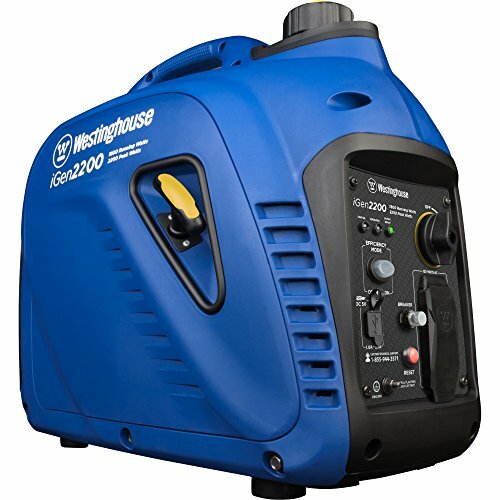 The generator is able to offer a large 120V 30A socket, as well as two 120V smaller appliance outlets and a 12V DC outlet with a dual USB port. If you need a little bit more power, you can also connect two of the same generators to give you double the power. The generator is 50% more quieter and 20% lighter than any other generator within it’s range. However, this doesn’t mean that it still isn’t loud enough to hear or heavy. The generator emits around 64 dBA which is far louder than many other products on this list, but for something of this size it’s quiet. The product is quite a large generator and carrying two for the parallel function wouldn’t be practical. For such a large generator, being able to last 17 hours is a great feature, there are also a few power sockets for different appliances. This generator has the ability to generate 3100 Watts of startup energy and 2800 Watts of continuous power. The air-cooled engine will be able to keep fairly quiet by only emitting 57 dBA of noise which is great for this size of generator. Made with portability in mind, the lightweight design has wheels which makes it easier to move around. The efficiency of this device is also apparent with it being able to run for 7.5 hours on just one gallon. The easy access panel comes equipped with two three-pronged 120V outlets, one AC 120V 30A twist lock outlet, one 12V DC outlet and two 5V USB ports. To conserve as much energy as possible, the eco-mode switch will do just the trick to prevent unnecessary usage of any gasoline. If you ever find your generator is running low on gas or oil, the automatic shutoff feature will kick in and stop the generator from running on fumes which ultimately breaks the generator. Offering plenty of benefits, this generator has multiple power outlets for different devices and appliances. The air-cooled engine will be kept at a quiet 57 dBA of noise, for a generator that creates this amount of energy, this is quite good. If you don’t have the energy that you need, you can double the generator up with the parallel function that will double your power outage. If you begin running out of fuel and oil, the smart sensor will automatically shut your device down to stop it from running on fuels and eventually breaking the generator. The only downside of this product is that it weighs 81.4 pounds, even with wheels this weight is still heavy for many people. There are multiple reasons why you should bring a generator as there are literally hundreds of activities that require power. Here are a few that we think require a quiet generator. How many times have you wanted to just sit outside in your deck chair and just relax, but been stopped by dark night. A quiet generator will be able to power a few lights for you to relax in peace without worrying about the dark or a noisy generator. One of the most important uses for a generator is entertainment. Being able to watch TV or power your appliances is an important part of RV life. Having the ability to do this while also not suffering from any noise is a godsend. How can you be expected to watch a movie and deal with 80 dBA of noise coming from the generator. This isn’t necessarily a benefit of a quiet generator but a benefit of having a quality generator. 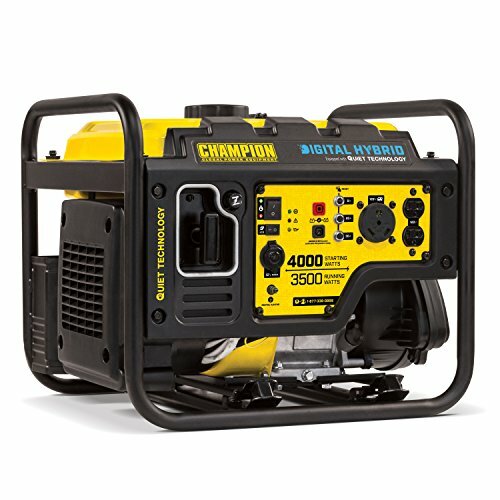 If you had a backup generator you’d be able to use this in emergencies like when your RV battery dies which it often can do. If you have a powerful enough generator, you could be back up and running within 30 minutes. 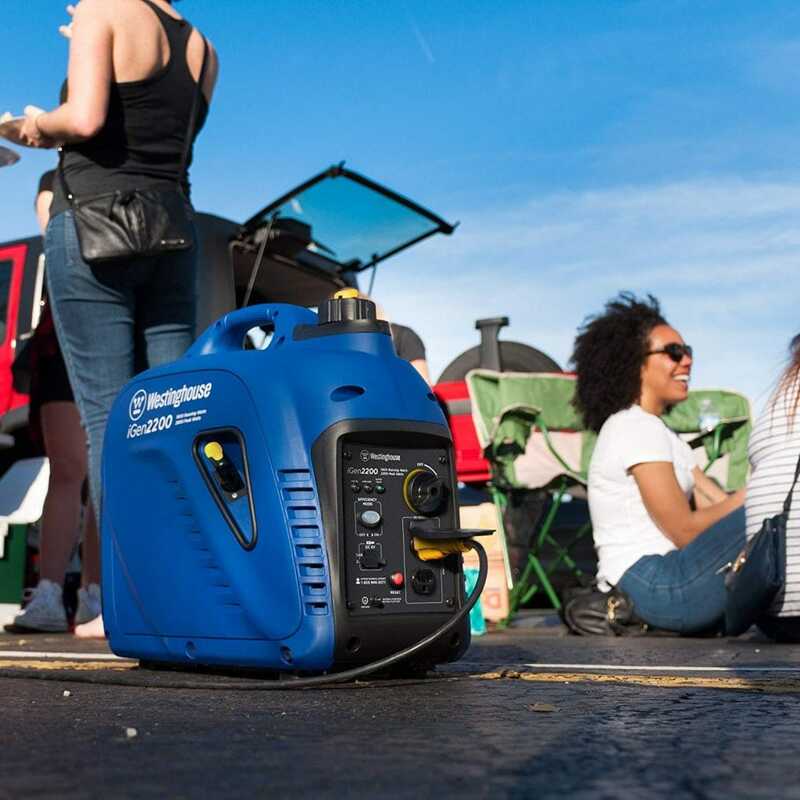 It’s important to always have a backup plan, a generator for your RV is exactly what you should have in your arsenal to get you out of bad situations. However, there are plenty of situations that will require you to have a noise-free model and it makes all the difference. We hope this article has helped you identify a few products that are suited to you as well as even teaching you something new.